"This novelette is a companion book to The Many Lives of Ruby Iyer. A peek into the soul of an angry, young girl, who will come of age in a city on the verge of total annihilation. 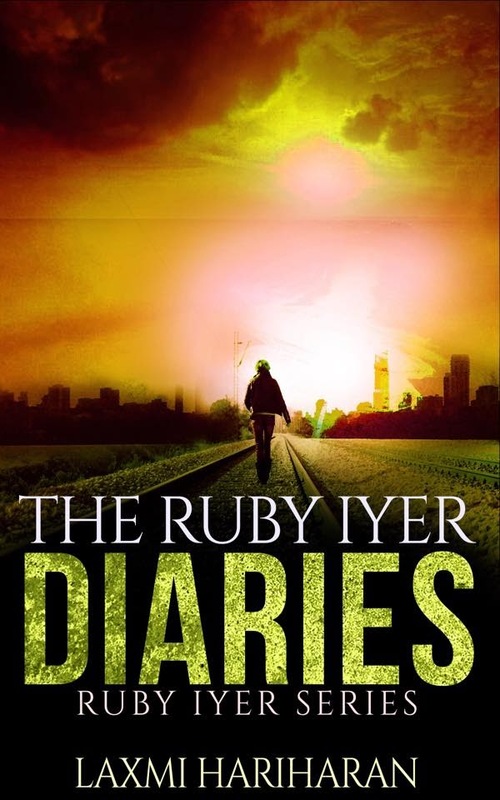 Ruby kept a diary from the age of ten till she ran away from home at sixteen. It is from here that I picked out a few diary entries for The Ruby Iyer Diaries. This short series of vignettes from Ruby's life, tells you more a little more about the origins of Ruby Iyer." This is the first novelette that I have reviewed. I was nervous that I wouldn't have enough to share as far as opinions because of the length. Boy was I mistaken! Laxmi Hariharan has a wonderful style of writing. I would even call it powerful. In a short number of pages, she managed to draw me in completely. By the end of the novelette, I was left yearning for more to read. My interest has been awakened in this series. Immediately after finishing the novelette, I had already added the entire series to my "to be read" shelf on Goodreads. I know that this is only going off of a short part of these books but I would still recommend this series by Laxmi Hariharan. Could possibly even be a 5 cup rating if I had reviewed an entire novel. I actually had a similar experience. And I then went on to read the remaining books, and for me, it only gets better!